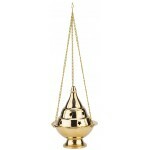 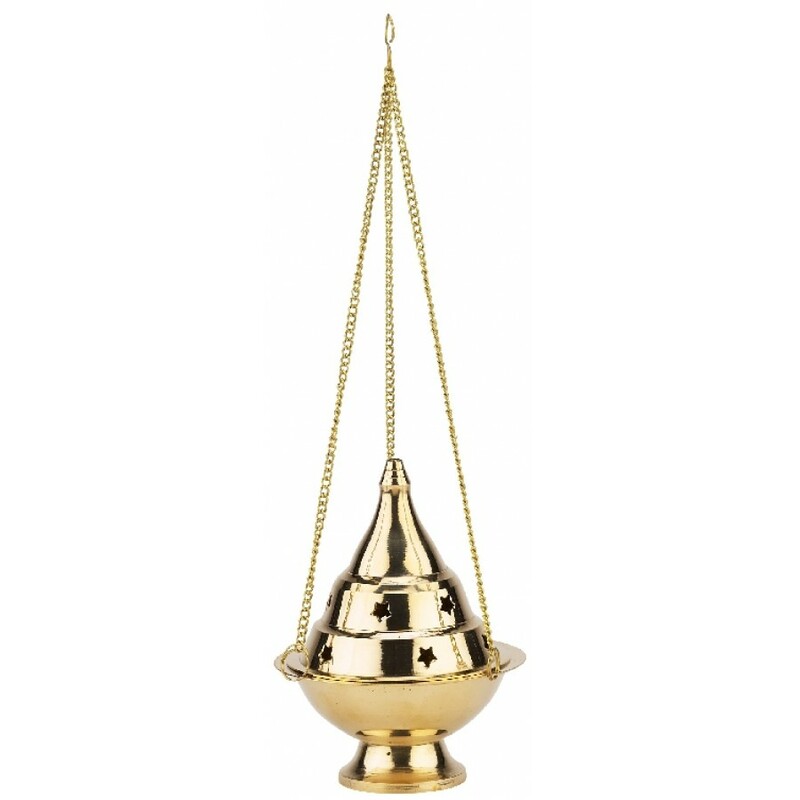 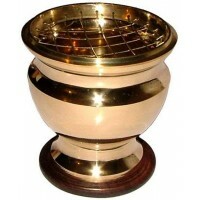 This 4 inch hanging brass incense censer works well with charcoal tablets and resin incense or incense cones keeping it out of reach of children and pets. 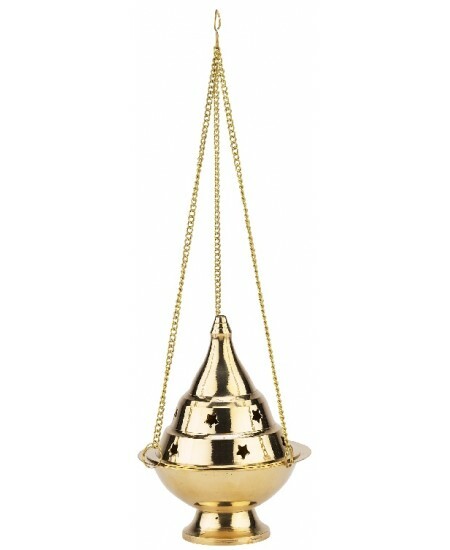 The top separates so you can put sand and incense inside, then you cover it back up and let the smoke come out through the star-shaped holes. 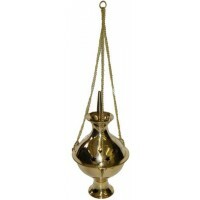 Three metal chains allow you to hang it up. 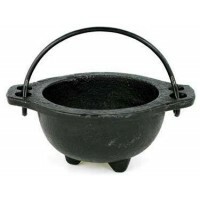 You can also use it for smudging by holding it by the hanging ring and swinging back and forth to distribute the smoke to every nook and cranny. 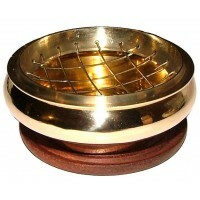 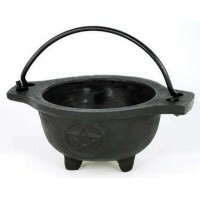 The burner is 4 inches tall without the chains, about 10 inches tall with the chain included. 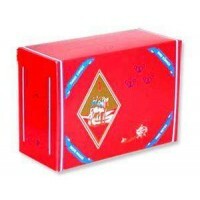 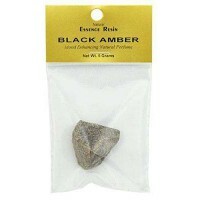 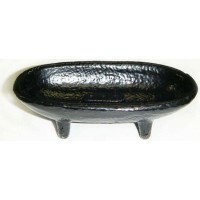 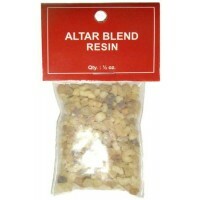 Item Number: BN-67214 | Approximate Size (Inches): 2.00 wide x 2.00 deep x 10.00 high | Approximate Shipping Weight: 0.50 lbs.